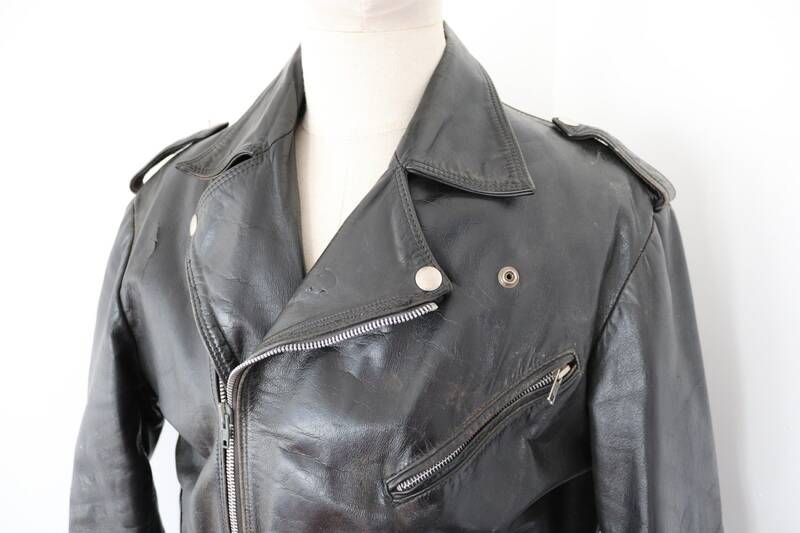 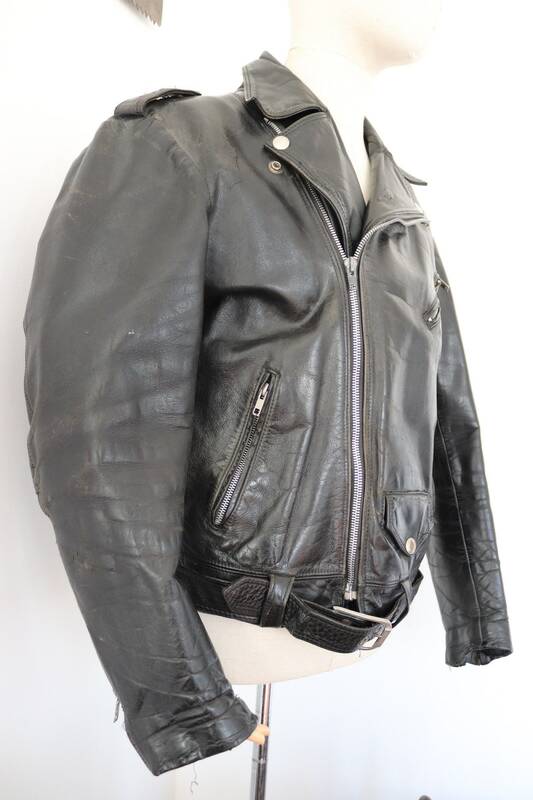 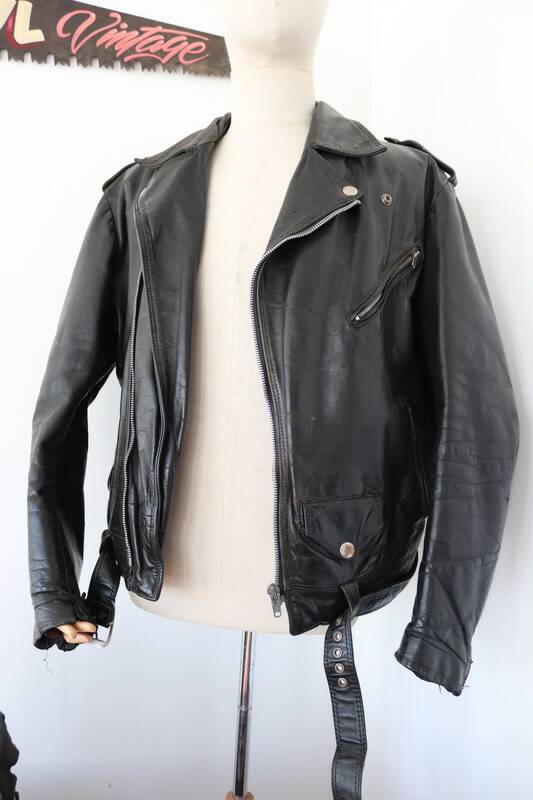 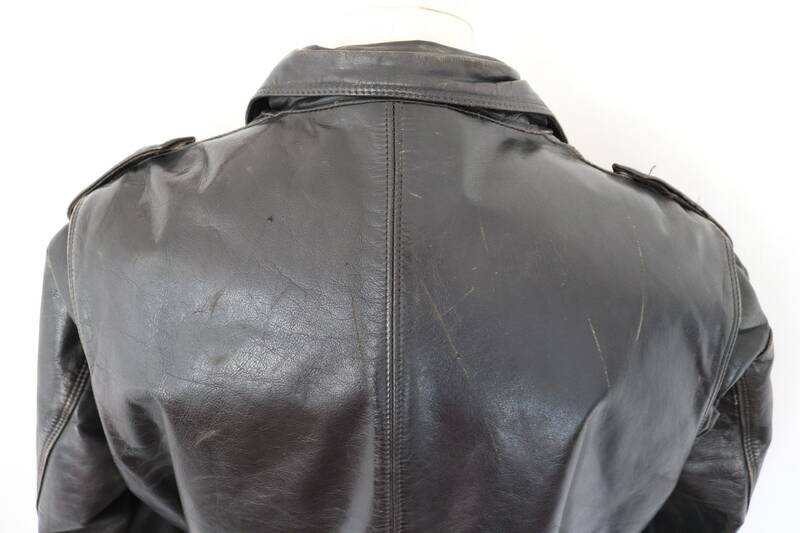 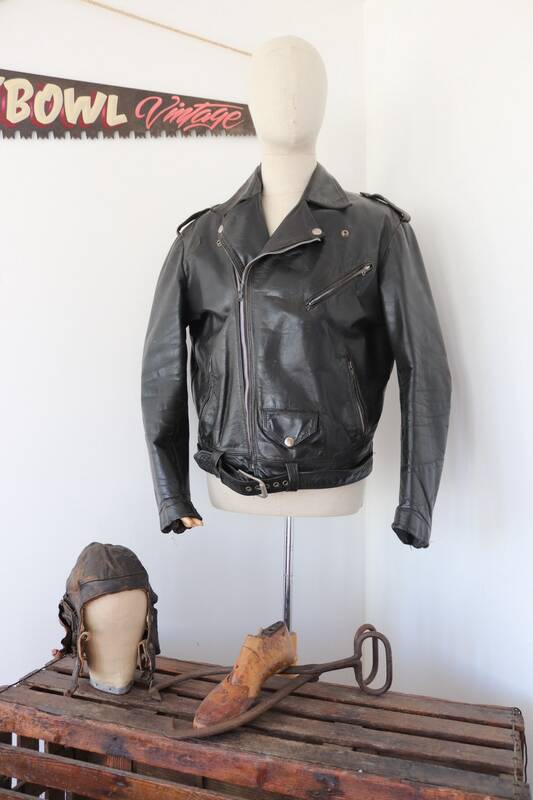 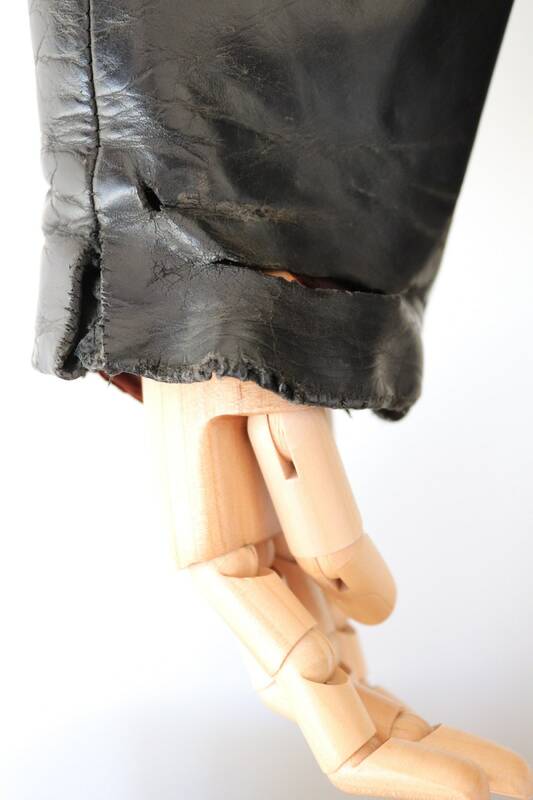 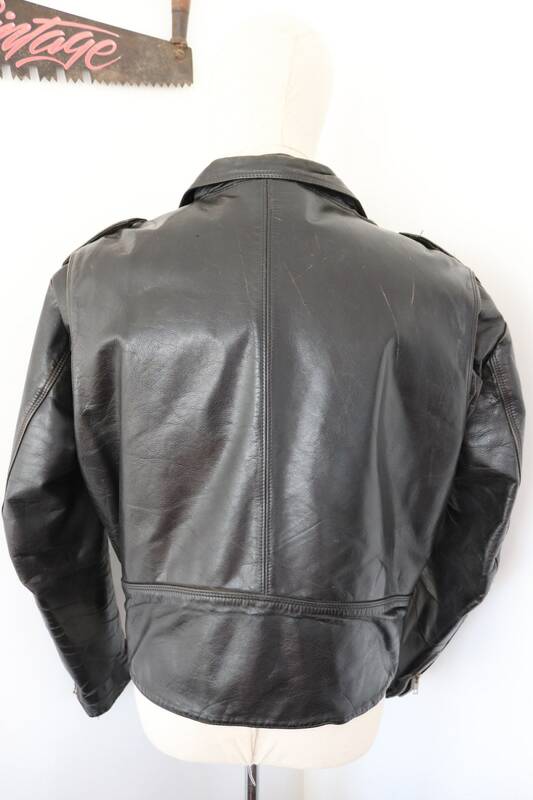 A black horsehide leather jacket, dating from the 1970s. 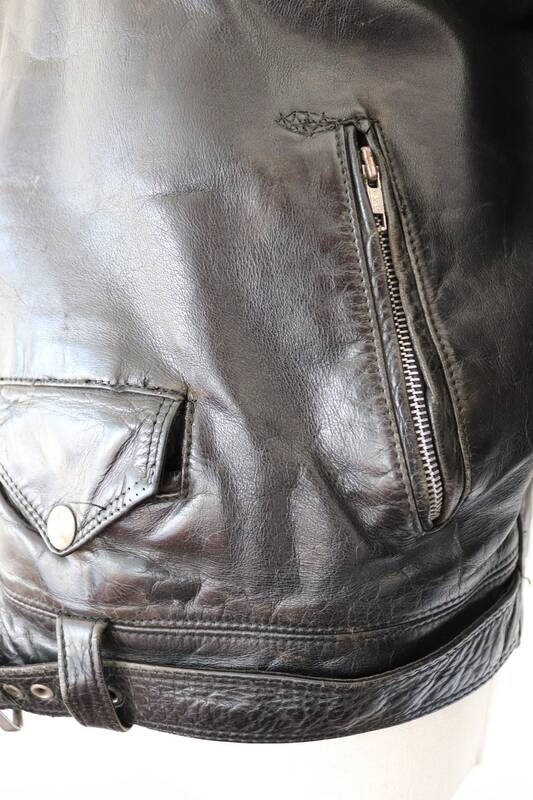 Noted flaws - scuffs and scrapes to the leather throughout, some damage to the right cuff - please see photos. 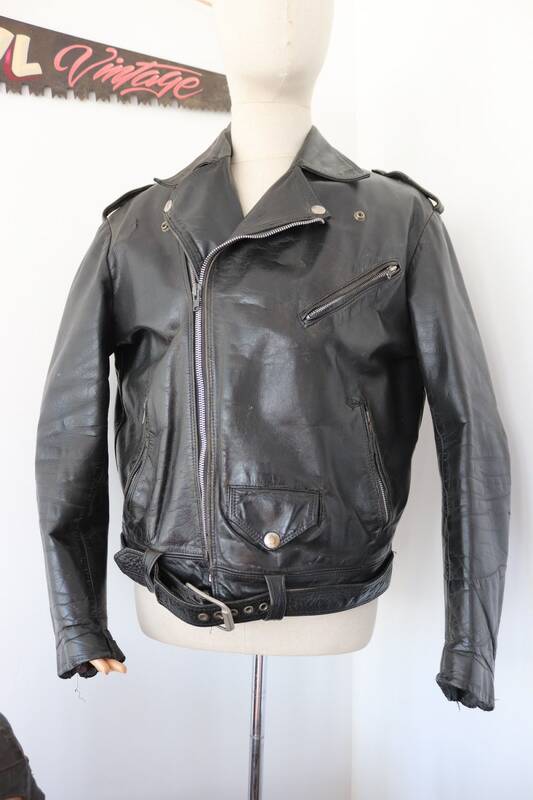 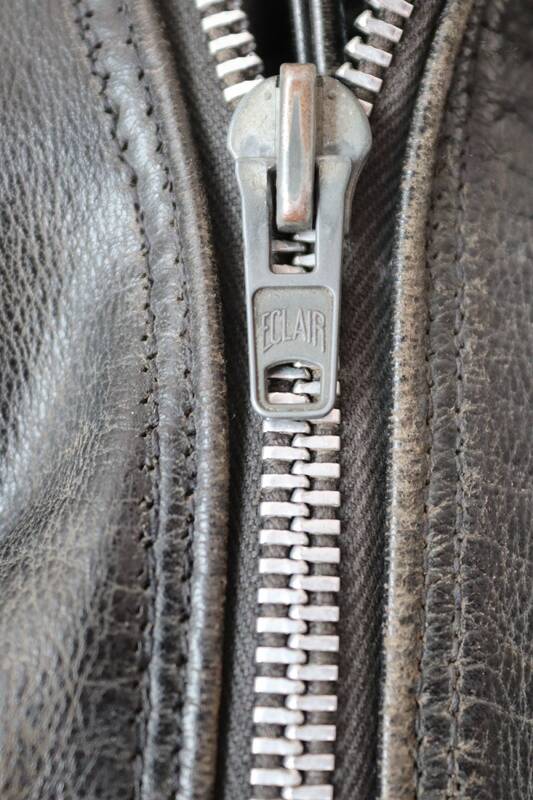 Thick, heavyweight leather, Eclair and YKK zippers, quilted nylon lining, non-removable belt, classic biker style, great quality, weighs just under 2.5kg.